Douglas MacArthur evaluated his life on his 75th birthday, saying: “Nobody grows old merely by living a number of years. People grow old by deserting their ideals. Years may wrinkle the skin, but to give up interest wrinkles the soul. In the central place of every heart, there is a recording chamber; so long as it receives messages of beauty, hope, cheer, and courage, so long are you young. When the wires are all down and your heart is covered with the snows of pessimism and the ice of cynicism, then, and then only, are you grown old. I have found that young people really do like to be around the elderly, provided they are fun, positive and most importantly have not forgotten how to laugh. Let’s face it, aging can be humorous! I think a healthy culture values its elderly population. 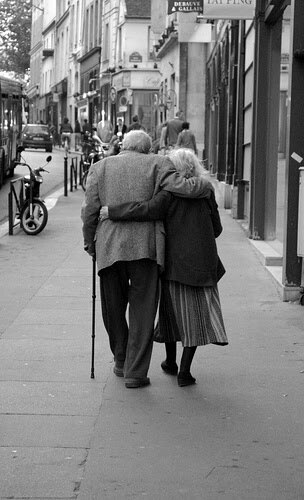 After all, God greatly values the elderly. He gave them their biggest jobs after they had reached the age where many Americans are living in retirement villages playing golf and bingo! My folks have done a great job of aging well, I only hope I can do it half as successfully as they have. Here are some of the reasons I believe they have continued to stay young at 81 and 82! This entry was posted in Christian living, Family, Humor, Old age, Walking with God. Bookmark the permalink.